This book has several stories. One being The Tale of Peter Rabbit. Peter gets in all kinds of trouble when he goes to Mr. McGregor's garden. He loses his suit of clothes and his shoes. He also gets all wet when he hides in a watering can. He does eventually get out of the garden and goes back home to his mother. One morning a little rabbit sat on a bank. He pricked his ears and listened to the trit-trot, trit-trot of a pony. A gig was coming along the road; it was driven by Mr. McGregor, and beside him sat Mrs.
McGregor in her best bonnet. Benjamin and Peter have gone back to Mr. McGregor's garden to get Peter's clothes. They get trapped under a basket with a cat sitting on top. Old Mr. Bunny comes along and saves Benjamin and Peter by trapping the cat in the greenhouse. Old Mr. Bunny takes Benjamin out of the basket by his ears and whipped him with a little switch, then takes Peter out and the handkerchief with the onions. "The Tale of Squirrel Nutkin"
This is a Tale about a tail - a tail that belonged to a little red squirrel, and his name was Nutkin. Nukin and the other squirrels went to Owl Island to get some nuts. They took some mice as an offering for Old Brown, he is the owl, and put them on his doorstep. But Nutkin was excessively impertinent in his manners. He was always telling riddles to Old Brown. "Riddle me, riddle me, rot-tot-tote! A little wee man in a red, red coat! And so Nutkin kept telling riddles until Old Brown got very tired of it. He was going to skin and eat Nutkin when Nukin pulled very hard and broke his tail. Nutkin doesn't tell riddles anymore! "The Tale of Two Bad Mice"
The mice make a terrible mess of the doll house. They got very upset the food was plastic, so they went about tearing up things in the doll house. They took all the feathers out of a bolster and made themselves a feather bed. They proceeded to take items from the doll house to their home. The girls that owned the dollhouse dressed one of the dolls up in a policeman's outfit. But the mice paid them back for everything they broke and took with an old crooked sixpence found under the hearth rug. "The Tale of Mr. Jeremy Fisher"
at the edge of a pond. Mr. Jeremy Fisher goes fishing one day to catch some minnows for lunch. He is having company for lunch, Mr. Alderman Ptolemy Tortoise and Sir Isaac Newton. Mr. Jeremy Fisher puts on his Macintosh and a pair of old shiny galoshes, he took his rod and basket and sets off to catch some minnows. Instead of catching minnows he catches little Jack Sharp the stickleback, covered with spines! Instead of a nice dish of minnows - they had a roasted grasshopper with lady-bird sauce! 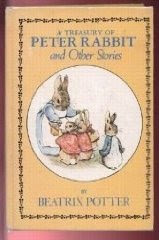 Our book of Beatrix Potter tales is one of my favorite children's books. I can't believe I missed these as a child, and I'm so glad I found them to read to my children. 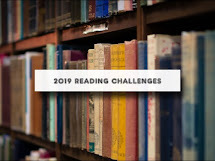 I even recorded myself reading some of our favorites so they could listen to them when dh and I were gone and they were staying with grandparents. I still have those tapes somewhere, but I'm not sure we have a tape player! Squirrel Nutkin was one of our favorites with all of his fun riddles. Thank you for posting this. I've been collecting favorite books and giving them to my brother and SIL for their baby due in July. This will be the next purchase. I appreciate the reminder. My son, who just turned seven, loves these books so... His favorite is The Tale of a Fierce Bad Rabbit.